Susan Hill, who wrote the contemporary classic The Woman in Black, knows that a good ghost story lives in the shadows. 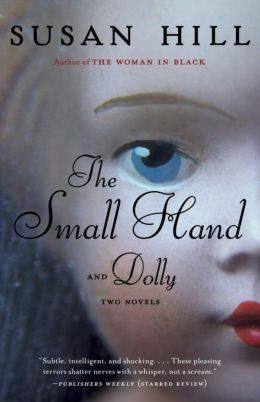 The Small Hand and Dolly (Vintage, digital galley) are two stories that evoke candlelight and dusk even when the sun shines. In the first tale, the narrator, an antiquarian bookseller, gets lost on a country road and chances on a derelict house. “I should have gone back,” he says several times as he describes the tree-lined lane and empty, overgrown garden, blanketed by ivy and creeping vines. But he has an urge to see more, and then, in hushed twilight, he feels a small hand grasp his fingers, and he returns the clasp as if he were a father holding his child’s small hand. “But I am not a father and the child was invisible.” Shiver. There’s more, of course, as the past impinges on the present, which is also the case with “Dolly,” in which a young girl’s long-ago destruction of a china doll reverberates through the years, tangibly haunting the innocent. John Boyne is another writer familiar with the eerie eloquence of the 19th-century, and the shades of Bronte, Dickens, M.R. James and Henry James echo in This House is Haunted (Other Press, digital galley). 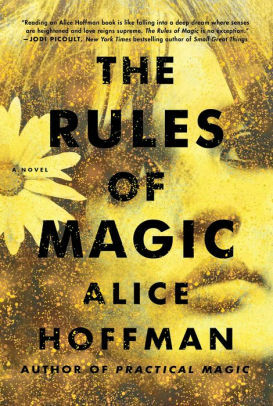 In 1867 England, 21-year-old narrator Eliza Caine impulsively answers an ad for a governess after her father’s sudden death leaves her alone in the world. She arrives at spooky Gaudlin Hall in windswept Norfolk to find her new charges, precocious Isabelle and shy Eustace, without any apparent adult supervision since the sudden departure of their last governess. The local solicitor who pays the household expenses provides only vague answers to her questions, and the daily help does a disappearing act whenever Eliza’s around. She does learn, however, that she is one of a series of governesses, most of whom died while at Gaudlin Hall. And someone — or something — seems determined to drive Eliza away: the sensation of being strangled in her bed, the push at her back near an open window, the stone urn falling from the roof. 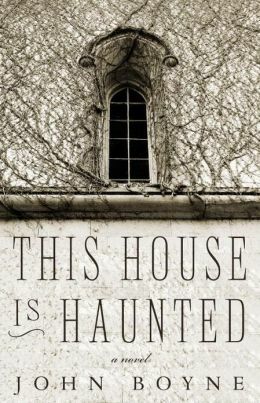 As Eliza learns more about the children’s absent parents and the family’s secrets, she becomes convinced that the house is haunted by a malignant spirit. Boyne artfully delivers standard gothic chills. 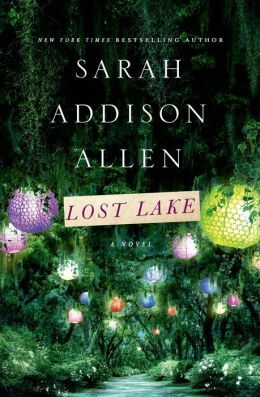 Moving back and forth in time, Searles gradually reveals that Sylvie knows more about the circumstances of the murder and Rose’s whereabouts that night than she has let on to the police. Also, that the house’s basement is one scary place, that there’s a doll that’s possibly possessed, and that this is a family with more than one dark secret. The suspense mounts as Searles deftly pieces together his psychological puzzle. 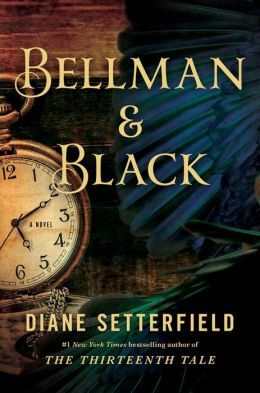 Here’s what I learned from Diane Setterfield’s rather puzzling Bellman & Black: A Ghost Story (Atria, paperback ARC; Nov. 5): Don’t mess with slingshots; rooks have long memories and are harbingers of doom; working at a mid-19th century English textile mill is tedious and poorly paid, unless you are the owner or his heir; and death is always in fashion because people need mourning clothes. I expected more mysterious magic from the author of The Thirteenth Tale. I’ve made up my mind. I’m going to be Rory Deveaux for Halloween. I already have the basic looks — dark hair, fair skin, round face. Clothes are no problem — jeans, T-shirt, vintage black velvet jacket — because they are my clothes. Red lipstick? Check. Southern accent? Got it. Just need to pick up a few props — iPod, old cell phone, Mardi Gras beads. Voila! I’m 17 again (quick, dim those lights), an American schoolgirl in London, soon-to-be fledgling ghostbuster. 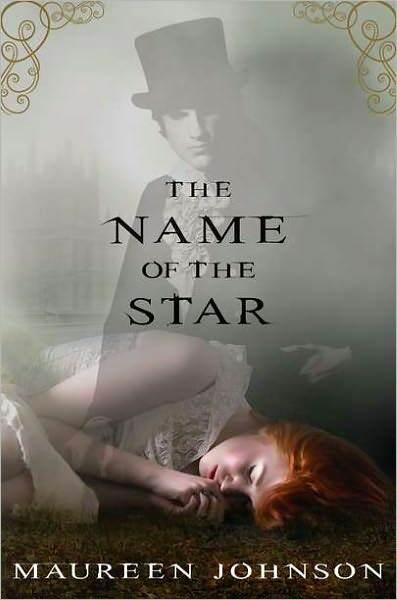 Rory doesn’t know about the ghost stuff at the beginning of Maureen Johnson’s nifty new paranormal thriller, The Name of the Star, the first volume in the Shades of London trilogy. As she tells it, she’s just feeling like a fish out of water at the posh boarding school Wexford in London’s East End. But she likes her roommate Jazza, and one of the prefects, Jerome, has a great grin and floppy curls. Now, if she can just survive field hockey and English food. Also Jack the Ripper. 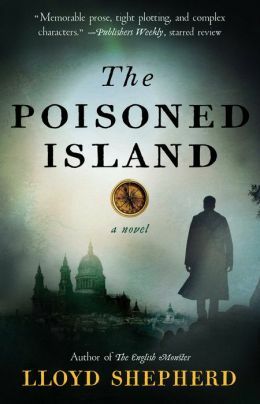 Yes, Jack’s back, or rather a serial killer bent on duplicating the famous Victorian murders in the Spitalfields area near Rory’s school. Despite the omnipresent closed-circuit TV cameras, the industrious efforts of the police, and intense media scrutiny, the Ripper has yet to be spotted. Then Rory sees a drab bald man outside the school as she and Jazza are sneaking back in the girls’ dorm on the night of another murder. Jazza doesn’t see him, probably because she’s scooted in the window, which leaves Rory the only witness. Soon she’s working with a super-secret security force of young officers with a specific skill set. Stephen, Callum and Boo are charged with keeping Rory away from the Ripper even as they go after the killer. They want him dead or alive. He may be both. 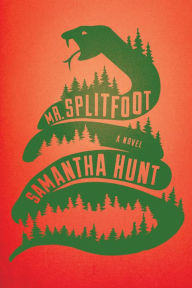 Johnson’s clever plot is grisly and goofy in equal measure, with plenty of grins to balance the gore. The climax in a closed, or “dead” station, of the Underground near London Bridge is followed by a stunning finale at the school that sets up a sequel. I see dead people in Rory’s future. Open Book: I borrowed a digital copy of Maureen Johnson’s The Name of the Star (Putnam) from the Orange County Library System’s online catalog. 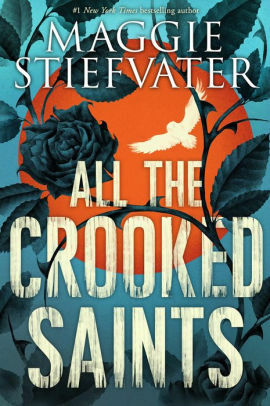 Once I checked it out online, Overdrive delivered the book in Adobe Digital to my laptop in S.C. , and then I sideloaded it to my Nook. What a cool trick! 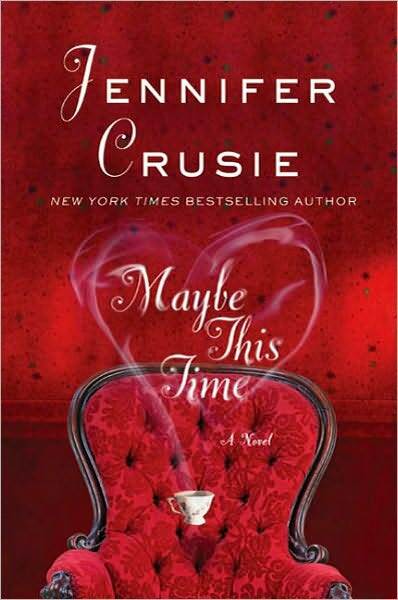 At one point in Jennifer Crusie’s new novel Maybe This Time, Andie is on the phone with her fiance Will, a good guy who is nevertheless the wrong guy for her because the right guy is always going to be her ex, attorney North Archer. But Andie has yet to figure that out as she tries to convince Will she can’t talk now because she’s really, really busy. 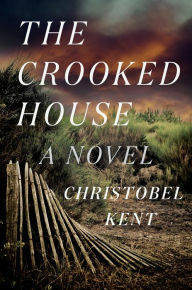 I have to admit that I would never have thought of pairing contemporary romance superstar Crusie with long-dead literary lion Henry James, but her spin on the classic The Turn of the Screw is wicked fun. James might be turning over in his grave, but he and literary purists should know that Crusie, who has advanced degrees in literature, feminist theory and writing, loves the original story and and used to teach it before she became a best-selling author. 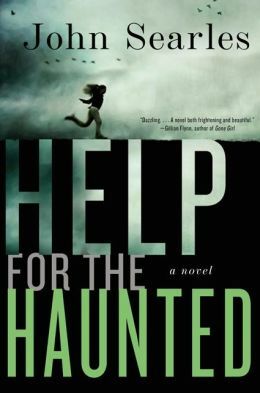 She knows her way around a Gothic, and her homage to James also includes references to Poe, Du Maurier and other great haunted-house tale-tellers. 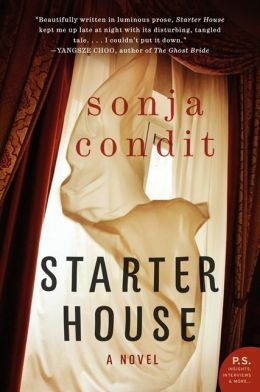 But she puts her own stamp on the proceedings from the very beginning by subbing smart, snarky Andi Miller for James’ nameless, nervous governess. Andi, as a last favor to North, chained to his desk at the family firm (why she left him 10 years ago), agrees to look after his distant, orphaned cousins, who have already been through three nannies at their creepy old mansion in back-of-beyond southern Ohio. Andi arrives like a breath of fresh air at the dusty, cheerless house being run by Mrs. Crumb, a Mrs. Danvers/Dickensian creature who spikes the tea and neglects her odd young charges, Carter and Alice. Winning their trust won’t be easy, but Andi immediately calls North to order cable TV, computers, a handyman and a cleaning service. She discovers that solemn, serious Carter likes to draw and that Alice likes to decorate, especially with sparkles. Crusie’s tale sparkles, too, as three ghosts make their presence known, and interested bystanders arrive on the scene — a scheming, toothy TV reporter; a medium with attitude and a spirit guide named Harold; North’s brother Southie and mother Lydia; Andi’s mother Flo; a psychic researcher; Will the fiance; and, eventually, North. The narrative may appear a bit crowded, but Crusie’s colorful characters are convincing, even, especially, the ghosts. One dances, one hovers, and the third threatens in a terrifying manner. These ghosts just don’t want to have fun. But readers will. Open Book: I bought the e-book version of Jennifer Crusie’s Maybe This Time because I love a good ghost story, including James’ The Turn of the Screw. 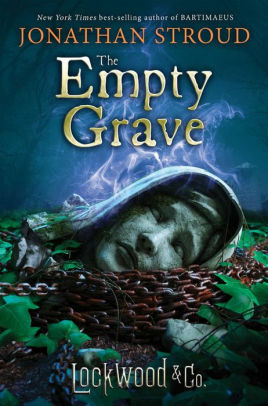 If you like your ghost stories with grins, check out Carolyn Hart’s Bailey Ruth novels (the third, Ghost at Work, was just published) and Nancy Atherton’s long-running Aunt Dimity series. I like my haunted houses old, large and creepy, preferably in Britain, but a Southern mansion will do the trick. The ghosts may or may not be “real,” but someone will think they are. The past will impinge upon the present in unforseen ways. One of my favorite haunted houses is Manderley in Daphne Du Maurier’s Rebecca, where spooky Mrs. Danvers asks the young narrator if she believes the dead return to watch the living. So I had high hopes for the decaying Warwickshire mansion known as High Hundreds, the setting for Sarah Waters’ The Little Stranger. 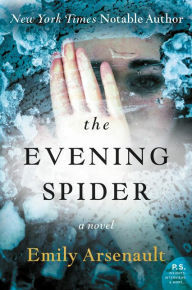 I generally like Waters’ books (Fingersmith), and this one was shortlisted for the Booker Prize and recommended by Stephen King, who knows something about scaring the daylights out of readers. 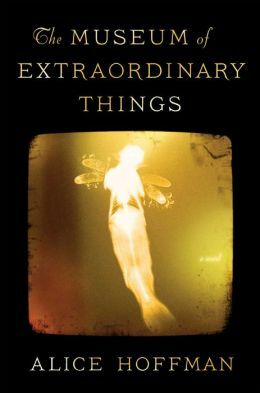 But The Little Stranger, in which narrator Dr. Faraday, becomes involved in the diminished lives of the Ayers family — widowed mother, World War II-injured son Roderick, spinster daughter Caroline — is all repressed psychological suspense, owing much to Henry James’ The Turn of the Screw and Edgar Allan Poe’s The Fall of the House of Usher. A friend who has read neither book found The Little Stranger “a well-written non-story.” I agree. Hundreds itself is a fascinating haunted house, but the tale is ultimately dispiriting. 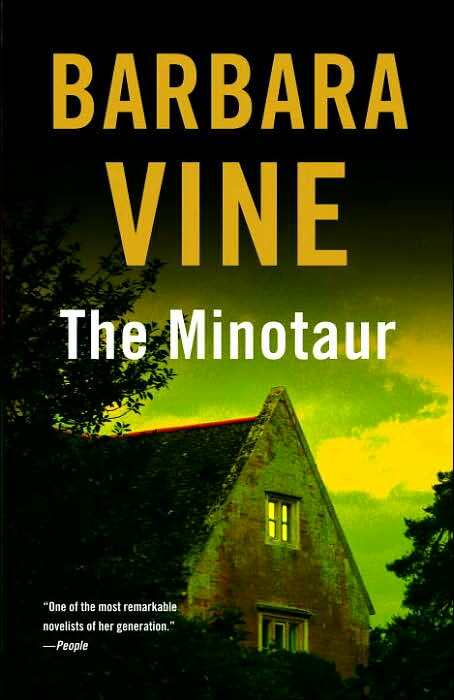 Waters’ novel, which came out last year, did send me back to re-read 2007’s The Minotaur by Barbara Vine, a master of literary suspense whether writing under the Vine pseudonym or as Ruth Rendell. Here the setting is 1960s Essex and the vine-covered (!) Lydstep Old Hall, home to the seriously dysfunctional Cosway family. 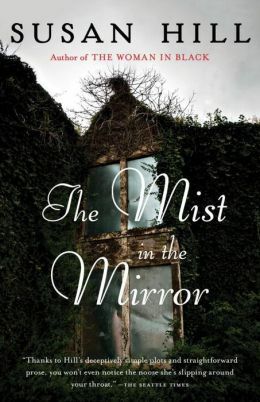 The narrator, young Swedish nurse Kerstin, arrives admittedly like a Bronte heroine to be confronted by a selfish matriarch ruling over four daughters and a troubled genius son, John. Kerstin, who is there to help look after the supposedly schizophrenic John, soon decides that drugging John into a zombie-like state isn’t doing him any good. Meanwhile, a dashing, penniless artist has arrived in the neighborhood and doesn’t seem to care which Cosway sister he’ll seduce. It’s all as complicated as the library labyrinth at the center of the house where John seeks refuge. Vine spins a teasing narrative threaded with clues and leading inexorably to a shocking climax. You know something horrible is bound to happen, but not how or to whom. Disturbing and haunting. 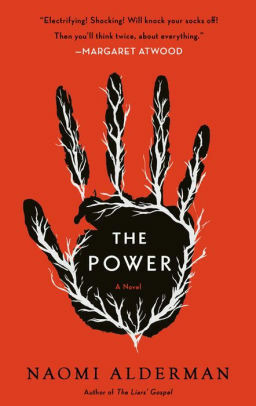 Open Book: I received The Little Stranger (Penguin) as a Christmas gift and bought a paperback of The Minotaur (Knopf) after first reading a library copy.